We offer a range of cost-effective services and equipment which is tailored to suit each individual's circumstances. Our professional staff, assess, fit and demonstrate to Service Users those items which will make their life better and allow them the security and peace-of-mind that means they can stay in their homes longer. In order to deliver these services, we have a 24-hour, 365-day a year Call Centre which will respond to any alerts raised by a Service User, or by their equipment. Please see below the full range of products that Careline provides to support independent living, click each heading to find out more information. The band is designed to be worn when you are not home - for instance when visiting friends or a quick trip to the shops. This service can be used at any time, day or night, 365 days a year, if you have an accident or incident when you are away from home, or suffer from a medical emergency. Within seconds of a call being made and the ID number quoted, the operator will instantly know your name, where you live and be able to retrieve your health and other details that you have requested to be kept. The Control Centre will arrange help as quickly as possible. The operator is also there to provide friendly support with a reassuring voice to alleviate any distress and to put your mind at rest. Careline will be able to store any information that you feel would be beneficial in an emergency - from the contact details of your family, to medical records, to what should happen to pets if you have to go to hospital. Contact details are to be supplied by you to Careline and can include your friends, relatives, neighbours and doctor. The emergency services can be called if assistance is needed and the Careline team will provide them with your recorded medical history. We will also relay details of the incident to your family as requested on your Alert ID registration. This 24 hour service is available in your area and you’ll be surprised at how little it costs. To apply for a Personal Alert Wristband please fill in the online form or contact us. The Bed Occupancy Sensor provides detection that the user has left their bed and has not returned within a set amount of time. The Bed Occupancy Sensor is a thin pad placed under a user's mattress. This is then linked to the Careline Unit which will send an alert to the Careline Control Centre if the user has left their bed during the night and not returned within a set period of time. The Bed Occupancy Sensor can also monitor the user and detect if they have not got up out of bed in the morning after a set time. Careline products require a home visit before installation and are provided on a needs basis. For further information and to arrange a home visit please contact us. 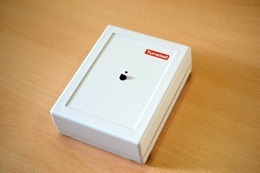 The Bogus Caller Button or Panic Button is used to aid when a nuisance caller is at the front door. The Bogus Caller Button is installed by the user's front door and can be used if a nuisance caller is causing a disturbance. Once pressed this will raise an alarm to the Careline Control Centre. A Careline operator will know that this button has been pressed at which point they can listen in and monitor the situation through the Careline Unit, intervene, provide reassurance or call the Police if found necessary. 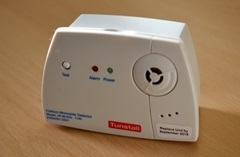 The Carbon Monoxide (CO) Detector measures levels of CO and will raise an alarm to Careline if harmful levels are detected. Carbon Monoxide is a deadly, odourless gas that cannot be seen. Often referred to as the 'silent killer'. In the UK, more than 50 people die from accidental carbon monoxide poisoning every year, and 200 people are left seriously ill. The CO Detector can be up and running in seconds, ready to raise an alarm to Careline through the Careline Unit if harmful levels are detected; providing peace of mind. The CO Detector provides long term detection without the need to be replaced. Battery life lasts approximately 2 years. The Careline Unit provides 24/7 support and reassurance to people in their homes. * Compatible unit design will be provided based on your telephone service provider. The Careline Unit can be installed in minutes. The Unit only requires a mains electricity output and a telephone line. When a call has been raised from the Unit, it is received at Careline Control Centre in Clacton-on-Sea. One of our highly trained operators will answer your call, speak to you and assess your situation, then get the appropriate help. If you are unable to speak to our operators they will have the information needed to know who is calling, key holders for the property, your medical information and next of kin contact details from our database, then the operator will get the appropriate help for you whilst remaining on the phone to you until help arrives. The Chair Occupancy Sensor gives an alert to Careline if the user has left their chair and not returned within a pre set time period. The Chair Occupancy Sensor works in a similar way to the Bed Occupancy Sensor. 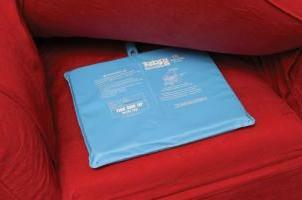 It is a thin pad placed under the seat of a chair and monitors the user when pressure is applied. If a user leaves their chair and does not return within a pre set time an alert will be sent to Careline through the Careline Unit, as this may indicate the users has fallen from their chair. This Epilepsy sensor monitors the user's vital signs including heart rate and breathing patterns to detect a range of epileptic seizures. 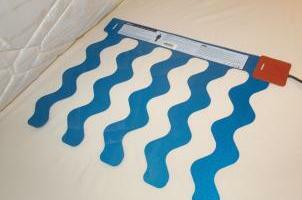 The Epilepsy Sensor is a thin pad placed under the user's mattress. The sensor will detect abnormal movements in the user's body that last longer than the preset (changeable) delay. These movements are caused by a seizure. 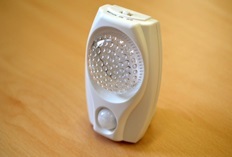 Once a seizure has been detected an alarm will be raised to the Careline Control Centre using the Careline Unit. One of our operators will provide help and contact the emergency services if deemed necessary. The sensor eliminates the need for carers to make physical checks, promoting independence and dignity. The effects of extreme heat or cold can have dangerous consequences to vulnerable people. The Extreme Temperature Sensor will measure a room's temperature and raise an automatic alarm through the Careline Unit if the temperature rises or lowers too fast. This sensor is very useful if a user has left a door open, not put their heating on during the winter or if there is a power failure. Providing an advanced warning will enable the user to take action. 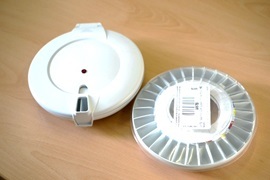 The Falls Detector is a valuable piece of equipment, detecting falls and raising an alarm to Careline. If a user has fallen from their bed or chair the Detector will sense this; emit a noise to wake them up from their sleep then monitor the user's position. If they remain in this position after 15 seconds the Detector will raise an alarm to the Careline Control Centre through the Careline Unit. The Flood Detector gives an early warning of a flood, such as taps being left on or a bath left running, dangerous if not detected. The Flood Detector is placed on a flat surface, somewhere close to where a home flood could occur, for example a wash basin or bath. If water is detected the Flood Detector will provide an alert to the Careline Control Centre using the Careline Unit, one of our operators will make sure everything is ok and provide aid if deemed necessary. An alert is raised as wet floors can be very slippery and difficult to see. Property damage can also occur. 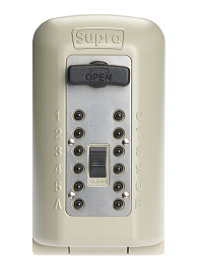 A Key Safe provides quick, secure access to keys (3 max), useful for emergency services situations. In the event the key holder(s) to your property are unavailable, the Key Safe gives very secure and manageable access by Emergency Services. Included is a neoprene cover to protect the Key Safe from the Great British weather and to make the Safe less visible to passers by. 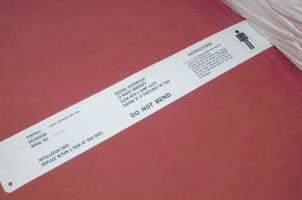 Careline products require a home visit before installation and are provided on a needs basis. Pictured above is the Police approved key safe. Supply and fit police approved key safe £85.00 (£102.00 including VAT if applicable). Order and pay for a key safe (supply and fit) online via this link. This wireless movement detector is used for activity and inactivity monitoring, also used as an intruder alarm system. The Passive Infra-Red Sensors detect if the service user is moving around their home at certain times of the day, an alarm will be raised to Careline through the Careline Unit if movement is not detected, this could indicate the user has fallen or not got up in the morning. This sensor can also be used as a intruder alarm system by monitoring household movements during the night, providing an alert if movement is detected. The Careline pendant is worn over the user's neck, clipped onto an item of clothing or can be worn around the wrist. This is a constant link with our operators. The purpose of the pendant and Careline unit is to help the user live independently in their home. When the pendant or Careline Unit is pressed (within the user's house or garden*) they will be connected to a fully trained Careline operator at our Contact Centre**. Who are there to help and get aid to the user as soon as possible. This is a valuable piece of equipment if the user has fallen and cannot get up. One press of the button will get them help. The Careline Pet Tag can be used for any animal that wears a collar to help reunite them with their owner should they go missing. The Pet Tag is attached to the collar of any pet. Should a pet go missing, the person who finds it can call the 24 hour number found on the tag. Also on the tag is a unique ID number which is individual to that pet. When this ID number is quoted, this will allow us at Careline to access the information required to reunite the pet with their owner. Annual update of your information. To register for a pet tag please contact us. The Pill Dispenser is a simple device used to dispense medication at pre set times. The Dispenser can be filled by a chemist, just take the Dispenser when collecting your medication. The Pill Dispenser makes it simple to keep track of what medication to take when. At pre set times during the day the user's medication will be dispensed, if the user however does not remove their medication once it has been dispensed after a given time period, an alert will be raised to Careline through the Careline Unit. This piece of equipment is great for anyone who is forgetful at taking their medication. In 2011-12 fire and rescue authorities attended 585,000 fire alarms in Britain. Fire is the biggest risk of death and serious injury in people's homes within the UK. Homes fitted with a smoke detector will discover a fire much faster than those without, reducing the risk of injury. When smoke is detected, the sensor will emit an alarm and also raise a call to Careline through the Careline Unit. From this the Emergency Services will be called if necessary by the Control Centre Operator.